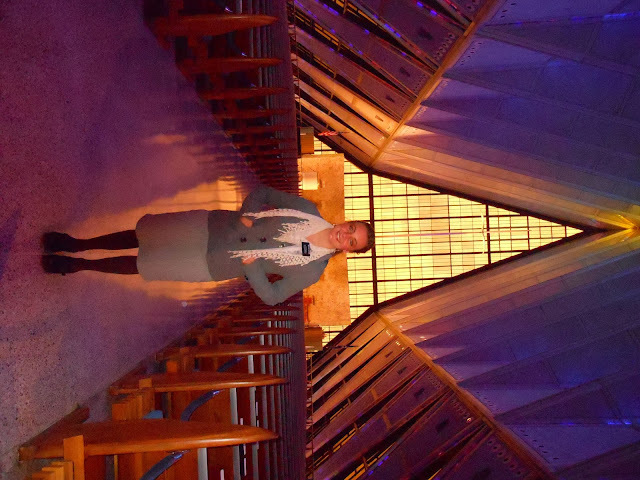 Here you will find the adventures of my eighteen month mission for the Church of Jesus Christ of Latter-Day Saints! Aw, sounds like fun!!!!! I stinkin miss Mike!! AND Marty! Poor thing! tell her I say hi :) There's a lady in the ward I'm serving in who totally reminds me of her :) She's fun. I don't need new pants- I resewed the ones that ripped and also bought a pair at a thrift store for like 4 bucks. Tell Rachel I got the dvd and letters!!!!!!!!!!! I told Haley to tell her, but apparently that didn't happen haha. THANK YOU SO MUCH FOR THE PACKAGE YOU SENT ME!!!!!!!!!! haha Sister Perrin walked inside our house, then turned around (cause I was still inside) and all she could say was: "...PACKAGE." and held her hands out super wide to show me how big it is hahahha. well, this week was fun :) lots of stuff happened. I can't believe it's December. It's still not too cold here, though. WAit I take that back. it's super cold in the morning (my companion's a runner so we go running every morning) and it's pretty cold. I'm not surprised the boys are being stinkers. haha it makes me laugh. I actually kinda miss it. 'Go Jerome!!! I hated Jerome so much when i was in high school, but now I have so much Jerome pride hahaha. Did they do a fall play this year? I was thinking about that a little while ago. okay, i'm out of time, but I would like the purple fox jacket if that's okay. and maybe instead of the redfish one, you could send the purple hoodie i bought in pocatello. the one i complained about maranda pressuring me into buying... if you don't know what i'm talking about then just send the redfish one haha. I'm so proud of Meagan! okay i'm seriously out of time, but I love you! have a great week! thanks for everything! Okay, I don't even know where to start.... This week has been amazing! I'll start by saying that I am NOT getting transferred and I am staying in the mount herman ysa ward :D I am so grateful!!!!!!!!! I know we don't get fed much, but I am SO GRATEFUL I get to keep working with Chase and Joseph!!! Did I tell you about Joseph? He's our other new investigator that we got. We rely pretty much alone on member referrals to get new investigators because generally people only get interested in the church if their friends invite them. All of the people Sister Larsen and I have found on our own have always backed out sooner or later. But Chase and Joseph (Chase especially) are staying strong!! Unfortunately, we had to move Chase's baptism date again because he missed church again to go skiing with his friends. We have only ourselves to blame for that, though, because we didn't explain to him that he had to come to church at least 3 times before he gets baptized. When we told him that, he was like, (in his Virginian southern accent) "Ah, if I woulda known that, I woulda told mah friends no way!" That made me really happy :) So his new date is for the 7th of December. I'm so excited! I've attached a picture of him and Drew and Sis Larsen and I. Drew is on the right by me and Chase is on the left by sis Larsen. In our heads we're both thinking "AAHHHHHHHHHHHHHHHH!!!!!!!!!!!!!!!!!!!!!!!!!!!!!!!!!!!!!!!!!!!!!!!!!!!!!" because they put their arms around our shoulders haha. So Joseph is this guy we're working with who has a TON of questions about the church, but doesn't particularly want to join haha. Right now he just wants to learn more about Mormons. His friend Alysha invited him to church and she's been great fellowship for him. I worry a little bit though cause sometimes I think he's more interested in Alysha than he is in our religion :( that happens a lot. But we've had meetings without her there and he's still ready to learn lots. He always makes us food which is WAY nice of him.. except last time he made fish and I couldn't have any :( we all felt really bad haha. We asked him if he was going to come to church and he said probably not, but we got to church yesterday and he was there!!! He did the same thing when we invited him to a baptism the Elders had. he said he wasn't going to go, but we showed up and there he was! I really think he's going to get baptized, but it might take a while. I'm so grateful I have more time to work with him. Okay now for another amazing part of the week: Last Wednesday, the day after I emailed you asking about Jake, we went to see this girl Ashley Ricks who had given us a referral (her friend named Shelby haha). First of all I need to let you know how much i LOVE the Ricks family. I got Sister Ricks' autograph because she wrote a book called... dangit I can't remember what it's called, but I'm going to read it when I get back! It's about dragons. You can actually buy the ebook online if you're super interested. Her full name is Patricia J Ricks. Anyway I love her to death. She is so spunky and down to earth. They have 7 kids and the youngest two are adopted. Ryan has down syndrome and he is the most adorable little thing I have ever seen in my life!!!! Nathan also has special needs, and he is the most friendly little guy I've ever met :) Their family is really struggling right now and their house might get foreclosed because Brother Ricks can't find a job anywhere :( I wish there was more that we could do to help. So we stopped by on Wednesday to find that the sister missionaries from their family ward were already there having ice cream, so we just had this big ice cream party haha. In passing, sister Ricks said, "So, all of the missionaries in the Philippines have been accounted for." Then sis Larsen and I looked at each other and I started crying haha it was a very happy moment! Now for the best part of the week! On Friday we went to the church with all the missionaries in the surrounding zones for what was called a "mission tour." We were asked to study covenants in order to prepare for the mission tour because Elder Shane M. Bowen of the seventy was going to come and teach us about covenants. I learned so much!!!!!!!!!!! SO much!!! After he spoke to us and all the missionaries were eating lunch, one of the AP's came up to me and told me that I was chosen to be one of the six missionaries that Elder Bowen wanted to interview personally! Six out of about 60 missionaries or so. I was kind of nervous, but it was one of the best experiences of my life. One of the reasons he chose me was because I'm a 19 year old missionary. He asked me what I had learned and then he asked, "is there anything at all that you want to talk about?" I thought for a while and then told him about my decision to serve a mission and about my experience with receiving my call. 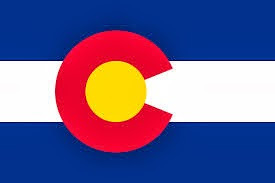 I expressed how I had prayed to know if I was supposed to go to Colorado and that I had received an overwhelming answer that I was. But even though I had that, I would still let myself get discouraged about it. He interrupted me and told me that he KNEW I was supposed to be here. He said that he had seen the apostles assign mission calls and that it is such an amazing experience and it is through direct revelation that they assign those calls. I guess I already knew that, but I was so amazing for a general authority to tell me that personally. He told me a lot of other things that I needed to hear and I made sure to write them in my journal. He told me I had a bright smile and bright eyes and he was impressed with my confidence. Lastly, he assured me of how much my Savior loves me and made sure that I knew that for myself :) The day after I met with him, I kept waiting for the feeling discouragement to arise in myself about serving stateside. Not even once did that happen, nor has it happened since. 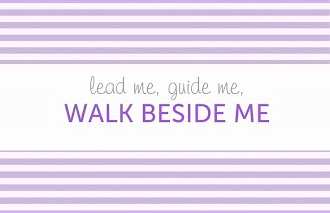 Instead, the Spirit keeps testifying to me of why I DO need to be here. It's amazing. You would not believe how much I love this place and how honored I am to serve here. I never want to leave. My heart is here and that's where it should be for another 15 months. I love you so much! I can't wait to hear from you soon :) I pray for you and the rest of the family all the time! Coeur d'Alene sounds so wonderful. And kinda cold. Was it cold? It hasn't been cold at all here. Okay, I take that back... but it's never really cloudy. Yesterday was really hot and today it probably going to be the same and I can't believe it! But I would love it if you could send me some of my jackets. The dressy ones I have are good for proscelyting, but i need some for service. So maybe you cold send me my red redfish lake one and my purple fox jacket? That would be wonderful :) Oh, could you also send me that blue fat curling iron? No rush on anything. Thanks for sending those cds!! ps I highly doubt i will get transferred, but I won't find out until next monday. So maybe in a few days if you send anything, start sending it to the mission address and they'll make sure it gets to me whether I'm transferred or not. And then when I find out where I'll be, I'll let you know if I have a new address. :) haha it's really crazy here in Colorado cause there's a lot of pot dispensaries and you'll see gas stations advertize their prices for how much you can get per gram and whatnot haha. I don't really know why I thought to tell you that... but yeah. Oh my goodness, that is so crazy about Dallin and Cassie! I couldn't help but cry when I read that, not because I was worried, but because I know the Lord is watching over you all. We have another new investigator named Joseph. He has a ton of questions and it's quite overwhelming haha. But he's a great guy and I know that the Spirit will testify of these truths to him. I'm a little worried about our investigator Chase because he was out of town this weekend and didn't come to church (which means we have to push his baptism date back another week) and he also hasn't texted us back at all since then... 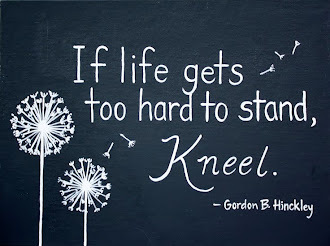 So keep praying for him. I really hope i get to stay another transfer in this area so I can keep working with them. My heart aches for Brother and Sister Perry. I will continue to pray for them. I did email him like dad suggested, but if you get the chance, let them know that I'm thinking of them and I'm grateful that they've supported me in all of my plays and for all of the home teaching they did for us. Oh yeah!!! and thanks SOOOOOOOOOOOOO much for the package!!!!!!!!!!!!! Ah, I'm so grateful! The treats were delicious and I'm still working on the cheeseball :D And I'm so excited about the Christmas tree and window decorations you gave me!!!!!!!!!!! and nutella!!!!!! oh and the pillowcase!!!!!!! and sister larsen loves hers, too! I love everything so much! I picked the pillowcase with the fat penguins :) I think you knew I would haha. Thanks so much. I really appreciate it. Well, I have been horrible about keeping up on Shelby's blog :( But I will try to do better. I will try to download some pics she has sent but I'm not promising anything!!! 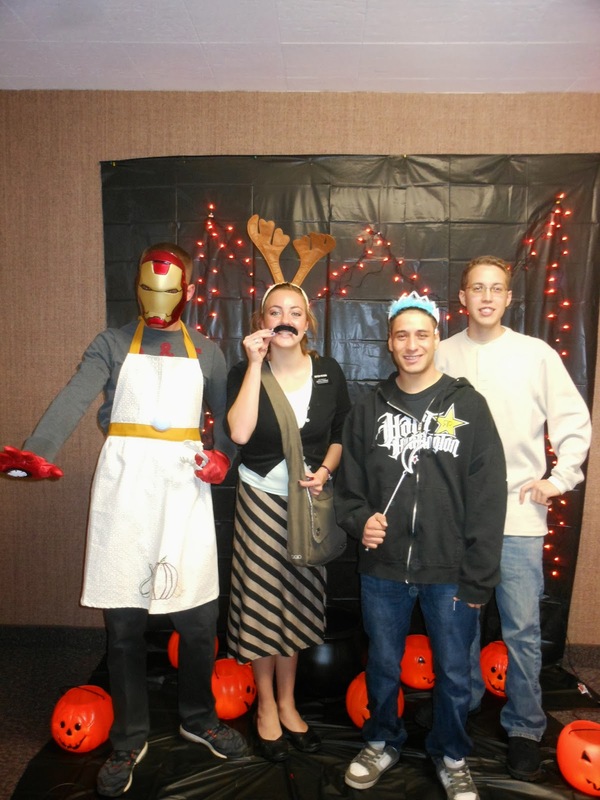 The picture I have included was at one of the singles ward halloween activites. My good friend David is "iron chef," I don't know who the guy on the far right is, and the short guy is Davie (the felon) in a fairy costume.. so don't you and dad worry about my prison friends haha. The other guy (Birch) is just as short and he just went to prison for knowingly buying stolen scuba gear. They wouldn't hurt a fly haha. Well, it's good to hear from you. I'm jealous that you're going to Coeur d'Alene. It's actually not too cold hear yet. We had snow one day a while ago, but it had melted by the afternoon. I'll probably need some warmer stuff soon, but I don't really know .... I'll keep you updated. I think I'll be good for now unless I get transferred to a biking area next transfer :( which is in TWO WEEKS!!!!!!!!!! I can't believe that time has flown so quickly! So in about a week, start sending letters and stuff to the mission office address (and tell grandma and everyone else) just in case I get transferred to another area. I predict that I'll stay here-- but just in case!! It's been a good week. We have SO many less actives who are making wonderful progress and they were all at church yesterday :D Also, Chase is doing very well and still has a baptism date for the 17th :) Thanks for your prayers! doing great in Colorado Springs! Wow I don't even know where to start! This week has been CRAZY!!! so since yesterday was Labor Day, we didn't have a p-day cause all the libraries were closed and also because we have to work work work on holidays!! Okay, well here's a recap of the week: So I got assigned to serve in the Mount Hermon Singles Ward right here in the heart of Colorado Springs. We cover a pretty large area since the single peoples are spread out all over the place. My trainer/companion's name is Sister Larsen and she's from Maryland. She's really nice. okay, sorry I'm jumping around, but it's really hard to get my thoughts straight and i'm limited on time. So when I first got out here, we stayed in some members' home (the Bass's) They were empty nesters and AMAZING people! The husband's name was Arnie and he is pretty much a mix of every single race ever, but he looks mostly African American. He grew up during the civil rights movement and had so many crazy stories about be arrested and such! They were awesome people and their home was so warm and welcoming. So, now that I've been assigned to an area, I am living in a different member's home (The Williams) Oh, and my new address is 2420 Linenhall Court, Colorado Springs, CO 80920. Please send ALL packages here for the next 11 weeks and all mail, too. If you've already sent stuff to the mission address, that's completely fine, and they'll forward it to me, it will just take a few more days. The Williams are super nice and they are allowing us to live upstairs in their master bedroom. Alrighty, day one in the field and the first thing we do is go teach some members at the airforce academy!!! It is so cool. we're not allowed to proselyte there, but we can teach lessons to people that set up appointments. We're only allowed on certain parts of the base, but it was a super cool experience and we'll be going there once a week. just like i said, I'm jumping around, soooo, yeah. There's this guy named Elder Holyoak in my district from Twin Falls and it's funny cause we don't know each other but totally recognize each other, just from seeing each other around haha. He claims that we've seen each other during golf tournaments, but I don't really know. I LOVE BEING A MISSIONARY!!! Today and yesterday have been pretty hot, but the days before that were POURING RAIN. Thank goodness for my umbrella or I would have been soaked. Like my not so prepared companion. Everyone here is very nice. At church on Sunday, there was this kid who bore his testimony who wasn't a member of the church, but was just being introduced to it. Okay, this guy was so ghetto fly and WHITE. But he was up there saying, "ya know, I been to so many churches and ya just don get the vibe you get here. i know ya know what i'm sayin. Ya know people here are so nice. I neva been a DJ, but i got some experience, they let me dj for some stuff... everyone so nice, they tell ya get some chips, get some dip." He was in this ghetto all black outfit with chains and he didn't know how to end his testimony, so he just said, "i 'preciate ya'll listenin to me." then kinda head bobbed a little bit and swagga'ed off the stand. best testimony ever. oh, and one last note, my companion ALWAYS uses the word "awkward" when it is NEVER AWKWARD. Like, she dropped our phone while we were walking and said, "oh, that was awkward..." ....not really... but it reminds me of Ashton hahaha. "let's play that one board game!" "AWKWARD!!!" hahha, oh, J. Well I sure do love you guys! I'll write soon! Shelby called this morning from the Denver airport. She LOVES the sisters and elders she's been able to "hang out" with and has learned SO much! So far it has been a great experience. I didn't know about the dearelder.com website until she had been there almost a week! But we've sent her lots of letters and stuff. I decided to send her goodies after she has been in Colorado for a bit. The MTC feeds them very well :) It's a small world: she has met up with a sister in her Uncle Welby's ward, an elder from Prosser, WA (her cousins' area), and an elder that's a brother of a kid from ISU. And of course the sister in our stake going to the Ukraine (can't quite think of her name at the moment). We shed a few tears but overall it was the most pleasant conversation a mother could ever want from her daughter. Love her so much!!! it's such a great feeling to not get mail the whole week while your roommates get a milllion packages and then finally get to your email to find that no one will tell me where my best friend/sister is serving!!!! sure do love you guys!!!!!!!!!! other than that my MTC experience has been great. I love my district and my companions. Sister Durtschi and sister Grant. I'm friends with them on facebook if you want to go stalk them. They give you permission. (no, dad, we are not allowed to get on facebook, but we found each other ahead of time before we left.) It's crazy to think that i've been here for almost a week, but that I'm leaving just as soon. I'll call you guys from the airport so keep your cellphones on you. we fly out the 26th but i dont know what time. i think i left my toothbrush and soap in the van... cause i can't find it. and my alarm clock doesn't show any numbers....?? i think it's defective, but i've already bought a new one, so crisis averted. I guess i don't blame Juan anymore for writing so little on pdays cause it's so crazy hectic and we're not given much time. I have had some amazing experiences here. We get to practice on real life investigators and I feel as though my testimony has been renewed. I entered the MTC on wed. with 850 other missionaries. 30 of us are flying out to colorado on the 26th. I am full of joy to know that I get to help spread the gospel with the people of Colorado. 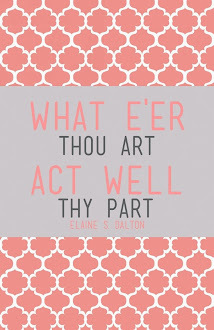 I had a ton of stuff to say, but i can't remember everything... oh yeah, i was going to tell you the scripture I want on my missionary plaque, but I don't remember the reference and it probably doesn't even matter because our ward will never get around to it anyway. I wrote you guys a lettter, but it mostly just talks about how mad i am at the world that no one will tell me where meagan is going and that i haven't gotten any mail yet. so I'll write a new one haha. I think it's my own fault anyway cause i told you guys not to write me. we are able to get our mail every night, but we can only write on pday. which for me is tuesday in the mtc and so conveniently the day BEFORE i got to the MTC and the day AFTER i fly out to colorado. From then on it will be on mondays i believe. and just a side note, ebay refunded me for my screen. I know that's a simple thing, but the Lord has blessed me in so many small ways. Like how we only have a tiny bit of time to get ready in the morning, but for some reason now it only takes me 15 minutes to curl all of my hair. and I can remember scripture references soooo much better. My companion sis. grant is the champion of scripture references, but I'm getting there :) I love this work and I am so honored to be able to wear this name tag :) I hope you all are well! love ya! It's here, it's finally here!!! The day I enter the MTC. It seems as though I have awaited this day my whole life and somehow time has crept up on me. I never dreamed this day would be here so soon. The experiences I have had leading up to now have been amazing. The temple is a beautiful house of God and I am so blessed to have one less than 15 minutes away from my own house! I am going to miss my Momma like crazy. And my dad. And those hooligans I call brothers. I am so excited to serve :) I am an official missionary now and I can't wait to wear that tag with a smile on my face and a Book of Mormon in my hand :) Colorado or bust! just can't handle this excitement! 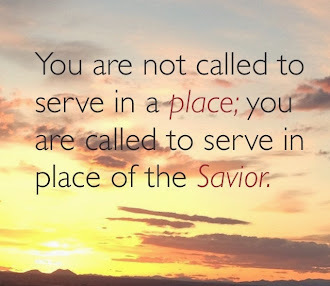 I am so excited that there are so many out there willing to serve! The increase in missionary work is INCREDIBLE!!! As a member of the Church of Jesus Christ of Latter Day Saints, I have been called to serve a mission in the Colorado Colorado Springs Mission <3 I report to the MTC on August 14th and cannot wait to serve!